Back in 2015 when Starbucks decided to make plain red cups for Christmas, many Christians were enraged. They believed that Starbucks changed the cups because it hated Jesus. This further exacerbated the belief some Christians have that the world is plotting to take Christ out of Christmas. The mantra, “Keep Christ in Christmas” has been around even before Starbucks’ plain red cup. And the way to “Keep Christ in Christmas” for many Christians seems to be insisting on saying “Merry Christmas,” and resisting the use of “Merry Xmas” and “Happy Holiday.” But here’s the question, would we really lose Christmas to the secular world by writing “Merry Xmas” and saying “Happy Holiday,” instead of “Merry Christmas”? First, technically speaking, both “Xmas” and “Holiday” are not any less Christian than the word “Christmas”. 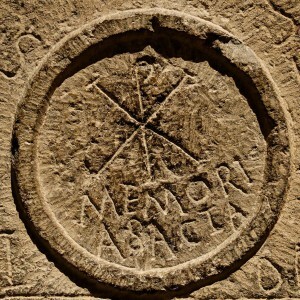 The “X” in Xmas is actually a symbol often used in ancient Rome to refer to Christ or the Christians, both because “X” is the first letter in the Greek word “Χριστός,” which means exactly “Christ” in Greek, and because “X” reminds the ancient Roman Christians of the cross. Whereas, the word “Holiday” comes from the old English word “hāligdæg.” It is a compound word of “hālig” means holy, and “dæg” means day. And it referred to religious, usually Christian, commemorations. Second, Jesus or any other biblical symbols has never been used on the Starbucks Christmas/Holiday cups in the first place. It has always been reindeer, snowman, ornaments, snowflakes and drawings of happy looking people on their cups. These symbols have nothing to do with Jesus and his birthday. If Christmas is lost to anything, it is lost to American’s commercialism that commercialized Christmas. Christmas has become this huge shopping season, when people are expecting luxurious gifts, beautiful Christmas trees and dazzling decorations everywhere. If anything, it is American’s commercialized Christmas that Starbucks cups reflect. In addition, Starbucks has never claimed to be a Christian company. Why do we lay upon Starbucks or any secular corporate and individuals the burden of keeping Christ in Christmas? It is and has always been the Christians’ responsibility to keep Christ in Christmas. And doing it by insist on saying “Merry Christmas” is simply not enough, and not good enough. There is in fact a lot more that we can do to make sure Christ will remain in the center of Christmas. For a starter, we as Christians are to be like Christ in this Christmas season. Christ should be kept in Christmas through our words and deeds. In this Christmas season, let us be mindful of Jesus’ teachings, such as the greatest commandments, “Love the Lord your God with all your heart and with all your soul and with all your mind” and “Love your neighbor as yourself’” (Matthew 22:37-39). Except for all the gifts that we are buying for our loved ones, are there people around us that are in need? Christmas is a good time to give and to care for others in the name of Christ. Furthermore, instead of demanding people of different cultural and religious backgrounds to observe the holiday the way Christians would, let us show love and respect, and most importantly, pray for the ones you disagree with, just as Jesus taught in Matthew 5:43-48. There are so many more wonderful teachings of Jesus in the Bible, and I trust that you know your Bible, so I will not name them all here. But I think we are off to a great start if we could just do these two teachings of Jesus this Christmas season. The birth of Jesus provided a means for God and sinners to reconcile, and that’s why it is indeed a joy to the world. Let’s make sure that the world will perceive the good and joy of this news through our representation of our Lord. Merry Xmas and Happy Holiday to you and your loved ones! The sermon I preached on Feb. 19th, 2017. The topic is "The ( ) and ( ) Servant," from Matthew 25:14-30 The Parable of the Bags of Gold. Click here to listen. In the Parable of the Talents in Matthew 25, Jesus tells the parable of a man, before he went on a journey, he entrusted each of his three servants some money. And he went on his journey. While the man was away, two of the three servants doubled the money by making some business investments; the third servant, however, went and dug a hole in the ground to hide the money. When the man has finally returned from his journey, it came the time for him to settle the account with his servants. The man was very pleased with the first two servants, he said to them, “Well done, good and faithful servant! You have been faithful with a few things; I will put you in charge of many things. Come and share your master’s happiness!” (25:21, NIV). The third servant, however, said to the man, “Master, I knew that you are a hard man, harvesting where you have not sown and gathering where you have not scattered seed. So I was afraid and went out and hid your gold in the ground. See, here is what belongs to you.” (25:24-25). The man was very upset with the third servant, and he replied, “You wicked, lazy servant! So you knew that I harvest where I have not sown and gather where I have not scattered seed? Well then, you should have put my money on deposit with the bankers, so that when I returned I would have received it back with interest” (25:26-27). So the man ordered the money, which was entrusted the third servant, to be taken from him, and to have him fired. Jesus told the Parable of the Bags of Gold to help us get prepared for that day, when we are to settle our accounts with him. To help us getting prepared for the day, I’d like to, first, identify the resources that God has entrusted us, as the man in the parable has entrusted his servants the money. Second, I’d like to identify the traits of the wicked and lazy servant as portrait in Jesus’ parable. And finally, I’d like to propose some practical ways that we may facilitate the resources that God has entrusted us. What Have We Received from God? From the Bible, I summarized 3 types of material and immaterial resources in general that we have received from God. First, we are all given the gift of grace. If you are a Christian, you are saved by grace through faith in Jesus Christ (Eph. 2:8). Jesus is the grace upon grace that God gave the world (John 1:16). Grace is God’s perfect gift that He gives freely to the mankind, because He knows that we could never save ourselves (Romans 11:6). Second, we are each given a different set of gifts, talents and spiritual gifts. For example, in Exodus 35, when the Israelites were building the tabernacle and the ark, God equipped them with different skills and knowledge so that they may do the work just as God commanded (Exodus 35:35 & 36:1). When Paul talks about Spiritual Gift, he says that we are each given a different set of spiritual gifts so that we may help each other (1 Corinthians 12:7-11 & Romans 12:6-8). Similarly, when talking about talents and gifts, Peter also commands us to use our God given talents and gifts to serve others (1 Peter 4:10). Finally, we have also received material blessings and resources from God. This is particularly clear in the Old Testament. People of the Old Testament’s time understood that despite their hard work, all their earnings are ultimately gifts from God. Thus, we see the practice of tithe, the offerings and the festivals in the Old Testament. In the New Testament, Jesus tells us not to worry, because if God would feed the birds, how much more valuable we are to Him (Matthew 6:25-34). At the same time, Jesus also teaches us to use these material blessings and resources for the heavenly purpose (Luke 16:1-9). All in all, God has poured grace, talents, spiritual gifts and resources lavishly on us. These gifts are, however, not just for our own benefits. Since we have gladly received these gifts from God, we will also be held accountable for how we use these gifts and resources. Are we gonna be like the good and faithful servants, who doubled what their master entrusted them, or are we gonna be like the wicked and lazy servant, who let what his master entrusted him sat idly? One major mistake that the third servant in the Parable of the Talents made is that he thought of his master as a hard man, who “harvesting where he has not sown and gathering where he has not scattered seeds.” This is one of the areas that, as Christians, we need to constantly exam ourselves – when we do ministry or serve others, are we doing it out of the guilty, dutiful feeling, or do we serve from a grateful heart for what we have gladly received from God, and from the desire to share that grace we received? How often are we tempted to just call people sinners, rather than doing the difficult work of getting to know them? And how often are we tempted to just quote Bible verses at the ones confide in us, rather than really spend the time to listen to them? In the Parable of the Talents, when the man was distributing money before he went on the journey, “To one he gave five bags of gold, to another two bags, and to another one bag...” (25:15‬). I imagine that when receiving the entrusted money from his master, the third servant must be thinking – “I'm not as smart as the first servant who received 5 bags of gold; and I'm not as talented as the second servant who received 2 bags of gold; I'm not good at anything, and that's why master only gave me 1 bag of gold.” “Because I'm not good at anything, doing nothing's better than doing something.” This is the corrupted and lazy thinking of the third servant. Sometimes, we can have quite the same mindset as the third servant. A common misconception among many Christians is the belief that ministries belong only to the deep theological thinkers, and those who pray so spiritually. However, teaching or leading Bible study is not the only form of ministry. In the Matthew 25 parable, Jesus makes it clear that the servants were given different amount of money “each according to his ability” (25:15). Contrary to what the third servant in the parable believed about himself, “each according to his ability” implies that he did have some abilities. The reality is that not everyone has the same degree of faith, and we all have different weaknesses and strengths, but we are all each given a different set of talents and spiritual gifts. As servants of God, we are responsible for discovering and facilitating our talents and spiritual gifts for the building of the Body. We’d be making the same mistake as the third servant, if we leave our God given gifts laying waste as we sit there thinking that ministries belong only to the “spiritual” few. Ministry is an essential part of a Christian’s spiritual growth. It’s often in ministry we learn more about ourselves – what are my strengths, what are my shortcomings, what’s the state of my faith, how well am I being a doer of the Word, and how am I doing relationally. If we learn the Word without practicing it, it’s like having only lectures for PE classes without real exercises. At the same time, in what ministry capacity we serve has a lot to do with our talents and spiritual gifts, and these God given gifts sometimes change with time. For example, because I studied in Audio Production for undergrad, I began serving in my church in Taiwan as the A/V technician. Later, because of my work as a website programmer, I served the church by developing its web applications. After getting to know the people at the church better, I began to serve by outreaching to the high school exchange students from the Europe at our church with my friend Karen. These young students were not Christians, but they came to my church in Taiwan, because it was an American church, and the Caucasians attending the church reminded them of home. There wasn't a youth outreach ministry at church, but Karen and I knew what it feels to be strangers in a foreign country; we saw the needs, so we made it our ministry. Through the outreaching experience, I discovered my spiritual gifts in teaching and discernment. And it was that discovery that brought me here in California to study in the seminary. As you can see that what I do as ministries change over time, but they always have something to do with my talents and gifts at the moment. And the more I served, the more I learned about my talents and spiritual gifts. So I was able to adjust myself, to serve more in sync with God. At any rate, it’s important to note that we should refrain from comparing ministries. Often times in churches, people tend to see teaching ministries as the most respectable and the holiest ministries, and all the other ministries as non-essential and not as spiritual. 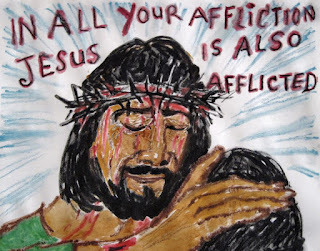 But Acts 6 tells us that, after Jesus’ ascension, and the 12 apostles are now the leaders of the people, at some point, they became overwhelmed by the daily functioning of the church, such as food distribution. So they decided to choose seven disciples from among the congregation to serve the table. The scripture tells us that the seven they chose were all of “good reputation, full of spirit and of wisdom” (Acts 6:3). So do not judge a brother/sister’s spiritual maturity base on his/her ministry. Don’t be limited by what people render as more spiritual or less spiritual. The seven in Acts 6 were not less spiritual than the twelve apostles, they were just given different resources and tasks. We have to remember, the purpose of our gifts is to build up the Body of Christ, whether it’s through teaching, praying or serving at the table. What exactly is tithing? In the Bible, tithe includes the seed of the land, or of the fruit of the tree, or even the fat of the animals. Though the seed of the land, the fruit of the tree, and the fat of the animals are the results of the hard work of the farmers and the shepherds, but they acknowledged that no matter how hard they work, if God had not allowed, the land would not produce seeds, the trees would bear fruit, and animals would not grow fat. It has always been God’s good intention that we shall enjoy the fruit of our hard work, but if God had not allowed, we would not have the opportunity to do what we are doing, or the health to thrive. What the third servant had failed to see is the privilege that he was given by his master. As we can see, tithe is an act of acknowledgment of God’s gracious giving, and a response to God’s love for his people (Deuteronomy 26:13). Because tithe is the acknowledgment of God’s gracious giving, so tithe was the giving back of what was from God. If tithe is the giving back of what was from God, then, why is it limited only to monetary giving? God has given us more than the monetary blessings. Especially for the people in Orange County – not to guilt trip you, but I do believe that we are given a lot more material advantages than many others in other parts of the world. There’s so much we can do with the material resources that God entrusted us for the Great Commission. What can We Do to Multiply What God Entrusted Us? So now we have identified the material and immaterial resources that we have received from God. What can we do to facilitate them? Especially with grace, how do we facilitate grace? How do we put grace into work? Well, first of all, grace should be the foundation of everything, just like rice is to the Chinese people. All the other things – your gifts, talents, the programs, and the logistics are the dishes. If you can’t go a meal without rice, then you shouldn’t go about ministry without grace. Grace should be the fuel that moves us (1 John 4:19). Grace should be the attitude we treat each other (Ephesians 4:2), the heart of our ministry (John 13:35), and the salt in our conversation (Colossians 4:6 & 1 Peter 3:15). C.S. Lewis, in his essay "The Weight of Glory," writes "If you asked twenty good men today what they thought [is] the highest of the virtues, nineteen of them would reply, Unselfishness. But if you asked almost any of the great Christians of old he would have replied, Love...The negative idea of Unselfishness carries with it the suggestion not primarily of securing good things for others, but of going without them ourselves, as if our abstinence and not their happiness was the important point. I do not think this is the Christian virtue of Love." Do you know that how we go about ministry reflects how we see God? Do you see God as a hard man, who “harvests where he has not sown and gathers where he has not scattered seeds,” or is He like the loving Father in the parable of The Prodigal Son, waiting eagerly for his children to come home to him? What are your talents and gifts? What are some of the things that you are good at? Like with our worship team, for those who are good at music, whether it’s piano, guitar or singing, they serve by facilitating their music talents. For those who think that they are not good at anything, well, at the very least, they do speak English. A friend of mine works for a church that outreaches to USC international students. And English conversation is a very important part of their outreach ministry. Each semester, it brings 40 to 50 international students to church. If we wanna see our church grow, we’ve got to ask ourselves the question – have I done my part? “Distinguishing between spirits” in 1 Cor. 12:8-10 is sometimes called the gift of “discernment.” It’s the ability of sensing what is from God, and what is not. “Apostles” in 1 Cor. 12:28 and Ephesians 4:11 are those who bring the gospel to the world, and plant churches. The gift of speaking in “tongues” doesn’t necessarily have to be the “tongues” in the charismatic sense. If a missionary can quickly pick up the language of the nation he/she is ministering to, I’d say he/she has the gift of speak in tongues as well. Because “tongue” in the original biblical language could be both simply a language and an angelic language. You could learn about your unique set of Spiritual Gifts through either observation – What comes natural to you, and what do people say that you are good at; or through Spiritual Gift assessment tools, which can be found online. Like I mentioned earlier, there’s so much we can do with the material resources that God entrusted us for the Great Commission, such as with our cars, even our tv screens, or BBQ grills. For those who are good at driving, I highly recommend that they participate in our UCI student airport pickup ministry. It’s a wonderful opportunity to demonstrate the Bible’s teaching about love. Throughout the entire Bible, eating together has been a repetitive theme. Like in the Old Testament, we see Abraham preparing a feast for the angels. And in the New Testament, we see how much Jesus loved dinner parties at people’s houses. That’s because the theme of eating together in someone's house carries meanings of special importance. Easting together signifies relationship, whether it’s between God and the people, or between individuals. Therefore, I’d also like to encourage us to open up our houses for the church, whether it’s to host a small group gathering, or for the outreach purposes. Similarly, for those who have BBQ grills and nice big tv screens at home, well, even these can be facilitated for a neighborhood outreach. Many at our church have, in fact, modeled that for us. Like last month, for Chinese New Year’s Eve, though it’s usually the time for people to chill at home with their own family, Steve and Grace opened up their home for a Chinese student dumpling party. And it spoke louder than words the meaning of being God’s family. And then in the beginning of this month, we’ve just had a fun evening watching Super Bowl at Ruby's house, and we were so blessed by the good cooks from church that they made wonderful and abundant food. Like Steve and Mimi, they’ve also opened up their home for international students for countless times, and I’m among those who are blessed by their hospitality. And I’ve also heard stories of someone, who would just invite neighbors he didn’t know over for a movie night and BBQ outreach. I know that many at our church have, in fact, been doing this for a long time, but I’d just like to take this opportunity to invite those who haven’t to join in. Because all these are the most direct manifestation of Jesus' teaching “Love God, and love your neighbor as yourself” (22:37-40). In Ezekiel 36:26 God speaks to his people through the prophet, “I will give you a new heart and put a new spirit in you; I will remove from you your heart of stone and give you a heart of flesh” (NIV). Through this prophecy, God proclaims the future renewal of the heart and spirit of his people – a new heart that will beat in harmony with God’s own heart, and a new spirit that will be in sync with God’s own Spirit. Sure enough, in Jesus’ most central and foundational teaching – the Sermon on the Mount, he challenges us of our calloused heart and our dull spirit. Now this is the BAD news to both the Jews in the New Testament’s time and the Christians of this day – If you do and not do things just because the Law or the rules of the Bible tell you so, you are NOT doing very well. It doesn’t make you “a man after God’s own heart,” and it doesn’t make you better than the Pharisees. In Matthew 5 Jesus made it clear that the Law is merely the minimum requirement for God’s people, and now the Law is fulfilled by Jesus, we are expected to do better than the requirement of the Law! Sensing this, and to prepare people for the even more radical teachings, in Matthew 5:17 Jesus says, “Do not think that I have come to abolish the Law or the Prophets; I have not come to abolish them but to fulfill them.” No, though the Law is fulfilled by Jesus, it is not abolished; and in verse 19, Jesus encourages people to practice and teach the Law. But the problem is – many among the crowd listening to Jesus may not even know the Law. And just as if to practice and teach the Law isn’t hard enough, now in verse 20, Jesus even commands us to be more righteousness than the Pharisees and the teachers of the Law! How are we to surpass the righteousness of the teachers of the Law? And what does that even mean? Just as Deuteronomy (“second law”) is Moses’ sermon for people to understand the spirit of the Law, the Sermon on the Mount could be rightly called the “Tritosnomy!” (“third law;” this is original, you need to cite me on that!) 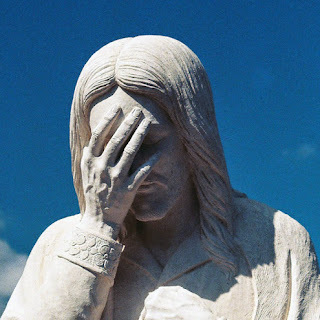 According to Jesus’ Tritosnomy, cursing someone is just as guilty as murder, and looking at a woman lustfully is just as disgraceful as adultery! When you are making a promise, let your words reflect what’s on your heart! As it becomes more and more evident as Jesus goes, what used to be on the behavioral level, now Jesus is bringing them to the heart and spirit level – not as something extra, but as something should have been. The Law, which governed the behavior, was only meant to be the tutor to bring us to Jesus. God’s original intent for the election of his people was never merely about what we do or not do, but about the transformation of our heart and spirit, so that we may reflect him completely! However, just as everything seems to be starting to make sense, we are hit with the real challenge – in Matthew 5:48, Jesus is telling us to be “perfect” – just as God is perfect. Could anyone imagine themselves to be perfect like God? Isn’t it a profanity to even think that we could be perfect like God? What does Jesus even mean by “perfect?” While it may seem like a mission impossible to reach such perfection, it’s really the GOOD news! The Pharisees followed the Law to the letter, but they do not understand the heart of God. The heart of God, as Jesus has made it clear for us, is merciful and gracious. He is compassionate, slow to anger and abound in love. He loves us more than a father loves his son! He pardons us more than seventy-seven times! It’s the understanding of God’s heart and his goodness that will liberate us FROM the pursuit of ideology out of fear, and so we will be freed TO pursue perfection out of love - just as our Father in heaven is perfect. Therefore, Jesus’ words in Matthew 5:48 aren’t intended as a command to bind us to even more burdensome works, but rather a declaration of our freedom from the Law, for the Law only leads to fear, judgment and defensiveness. After all, “There is no fear in love, but perfect love casts out fear. For fear has to do with punishment, and whoever fears has not been perfected in love” (1 John 4:18). It’s only when we are freed from the Law that our heart and spirit may be renewed – a new heart that is tuned to God’s heartbeat, a new spirit that is aligned with God’s Spirit, and so that we may become perfect like our Father. And it’s only then we’ll be able to love like our Father loves, and so that we may rise above the Law, and become more righteous than the Pharisees. For “love is the fulfilling of the law” (Romans 13:10); and it’s only then the Kingdom may come through us, and God’s will may be done on earth as it is in heaven. If I’m being honest with you and tell you that becoming a Christian won’t make life easier, healthier or richer, and sometimes it may even make things harder, you may wonder why the hack, then, would anyone want to become a Christian? Good question! I have the same question for Jesus, actually – Why would the Son of God want to become a human? And why didn’t he become a rich and powerful one, but a poor one with quite some misfortunes in life? Yes, the Son of God had quite a misfortunate life: He was born in a manger, because all the hotel rooms and guest houses were sold out, oops. He was hated for simply being him, and people tried to kill him when he was still a baby, oops. Traveling on foot for miles and miles was a natural part of his life, as well as hunger, thirst and sleep deprivation, oops. He got countless people trying to crack his head with rocks, and trying to push him down the cliff, oops. He eventually got beaten up, flogged and nailed to a tree log, and died of suffocation, yikes! And yes, his life was so misfortunate that people laughed at him when he was nailed to the tree log. They said to him as he was struggling to breathe, “If you are the Son of God, come down from the cross! Save yourself! Mahahaha…” (evil laughter added by me for the effect). So I guess, I am a lunatic who believe in a…joke? And you may ask, so is it worth it for me to dedicate my life to Jesus? I have the same question for Jesus, actually – was it worth it for the Son of God to become a human…a misfortunate one? I think the answer lies in each encounter that Jesus had with the people he met during his time on earth. It was with each kid that he welcomed into his arms, each friend he made, each person he healed, and each life he touched. It is because of his humble birth that he was deeply connected with the common people, and yet it was with his divine authority, he stood by the poor, the needy and the marginalized. It was with his violent death that he accomplished the unthinkable – human beings can now have genuine relationship with God, not just as believers, but as God’s children! No one knows human hearts more than Jesus – the Creator/Sustainer of human beings, and a human person himself, and yet he loved us in our strengths, weakness, our intelligence and our ignorance – our imperfect humanity. Rather than hatred, it was this profound understand of humanity that led to his great compassion for us. So I think he enjoyed the friendship with Matthew and Zacchaeus, the tax collectors. I think it warmed his heart when Mary sat by his feet. I think it broke his heart when he saw people mourning for Lazarus. 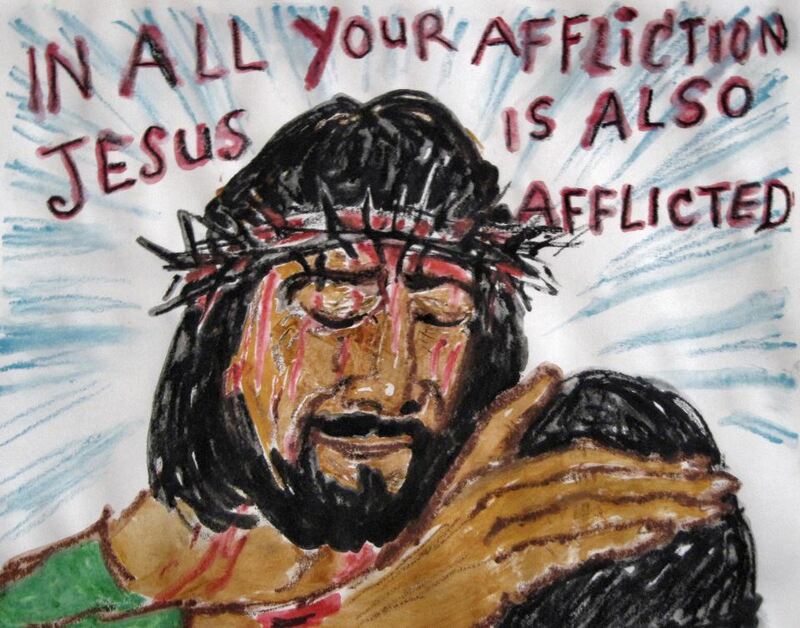 I think he felt hurt for the woman caught in adultery, who the Pharisees were trying to kill. I think it was refreshing to him when the gentile man and woman showed great faith in him. I think he was inspired by the brief conversation he had with this random woman at the well. As much as his students/best buds were slow to grasp the truth, he loved them. Even when he was betrayed by his best pal Peter, he had a soft spot for him. I think it’s the relationships Jesus had, has and will have with each human person that made it worth it. What could delight the Creator of the universe more than when his wonderful creations choose to come into relationship with him? Jesus’ life on earth may have been misfortunate, but it was also blessed. So is it worth it for me to dedicate my life to him. It is his humble birth and rough death for his loved ones that made it worth it. It is the relationship that I have with him made it worth it. Even as a Christian that I may still struggle in so many aspects of my life, it is my relationship with Jesus that made it worth it. I’m sorry if we the Christians have failed to reflect the compassionate and longsuffering nature of our Christ, but just as he welcomed each kid into his arms, he welcomes EACH and EVERY ONE into having a relationship with him. Don’t let an easier, healthier and richer life, anything, and anyone keep you from running into his arms. In the past couple of years, as I was nurtured by my study in the seminary, I experienced a never before spiritual drought. During this time, I had difficulty hearing and feeling God, as if God had turned a deaf ear to my prayers, or that He had abandoned me. It was a scary lonely feeling. It was like walking in the dark all by myself, and yet I didn’t know where I was going, and how long must I go. I called out in despair for help, but no one was there to answer. In the Christian tradition, this experience is often termed as the “Dark Night of the Soul,” and it’s sometimes described as a spiritual “desert wandering.” It’s a time of spiritual solitude. People usually experience it when God is moving them towards the next spiritual life stage. In the beginning of my Dark Night, I wasn’t sure what had happened, but somehow, the sense of God’s togetherness was diminishing, and my prayers were often met with dead silence. In the first half of my journey in the Dark Night, my spiritual life became like Elijah’s two journeys in the desert. In 1 King 17, after pronouncing the curse of a drought to Israel, Elijah went to hide near a brook in the desert. 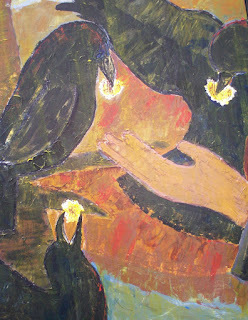 While he was in the desert, he drank from the brook, and ate from the pieces of bread that the ravens brought him. However, the brook eventually went dry. In Elijah’s second journey in 1 King 19, he was escaping from Jezebel the queen of Israel. He was exhausted and frustrated. In the desert, he sat under a tree, and said to God, “I’ve had enough! Now, O Lord, take my life” (1 King 19:4, NET). Nevertheless, the angel of God brought him just enough of food and water to keep him going. During this time, God’s presence to me was a lot like the bread crumbs and cakes that the ravens and the angel brought Elijah. They were a little here and a little there. At first, they were enough to keep me going, but eventually the brook went dry. I became frustrated, and I said to God numerous times, “I’ve had enough! This has got to stop!” Yet, even my protests were met with dead silence. All my life, I had been able to feel God’s togetherness, and so I took His presence for granted. I had no idea how lonely it was to be without His Spirit. It was a loneliness that nothing can fill. It was a spiritual loneliness. I was so frustrated that I became angry at God. In my distress I cursed God, and I thought to myself, “Life would be so much easier without God and the burden of this religion!” That’s when I realized that I had become the Israelites whom God brought out of Egypt. In their distress, they grumbled against Moses and God, “If only we had died by the hand of the Lord in the land of Egypt, when we sat by the pots of meat, when we ate bread to the full, for you have brought us out into this desert to kill this whole assembly with hunger!” (Exodus 16:3). I was convicted by my own thoughts, and I realized how I had been like those stiff-necked Israelites who had little trust in God. I repented from my pride, and I humbled myself. However, God was still out of reach. I hated that feeling of being without God. It felt like I had become an orphan, or that I was divorced, or that I lost my best friend. Something that was close to heart went missing. I apologized to God over and over again for any possible offense I may have done against Him, but nothing was changed. Then I thought, maybe God wasn’t listening to me, because I wasn’t praying right; or maybe it was because I wasn’t getting my theology right. What if I read more Bible? What if I try to be a nicer person? Yet again, nothing was changed. I wished desperately that there was something I could DO to bring Him back. After years of wandering in the spiritual desert, at the end, it was the Holy Spirit who led me out of it. The Dark Night of the Soul turned out to be an opportunity for growth in so many different aspects of my spiritual life. Based on the Christian tradition, with which my own experience resonates, the most important area that God wants us to grow through the Dark Night is our relationship with Him. One crucial lesson that I learned from my journey in the Dark Night is that there really isn’t anything that I want more than God’s togetherness. It doesn’t matter where I go, what I do, or whom I’m with, I’ll be fine as long as I have God in my life. There really isn’t anyone or anything that I need and love more than God. My journey in the Dark Night also taught me that there really isn’t anything that I could DO to be close to Him. God is a real Person, who desires REAL and INTIMATE relationship with us. I used to feel this distance from God that I could only address Him as Lord or Father in my prayer, but now I feel safe, comfortable and intimate enough to call Him Dad. Nevertheless, because the relationship between each person and God is unique, how God wants you to grow in your relationship with Him through the Dark Night will be different from that of mine. This is the area that you will have to wrestle with God in your own way and your own pace. The Dark Night is also a time for us to broaden our theological boundaries through the guidance of our biblical knowledge, but not limited by it. It’s a time to prioritize things in our lives, to explore our heart in a deeper level, to reflect on our relationship with our Heavenly Father, and to grow into a deeper relationship with Him. For those who are experiencing the Dark Night of the Soul right at this moment, I pray that the Holy Spirit may bring you peace, and guide your way. May God watch over your coming and going all through this journey, so that your foot may not slip. I will pray for you when you can't pray. I hope you’ll take comfort in knowing that God is there with you, even when you couldn’t feel it. Image source: MutualArt Services, Inc.
“‘Very well,” Deborah said, ‘I will go with you. But because of the way you are going about this, the honor will not be yours, for the Lord will hand Sisera over to a woman.” So Deborah went with Barak to Kedesh” (NIV84). The rise of Deborah in the ancient Israel’s patriarchal culture has never ceased to be a focal topic of discussion among the Christians. Much of the discussion centered on the question as to why God would raise up a female judge. In Judges 4:4-5 though the introduction of Deborah tells us briefly who she was and what she did, it does not tell us why she was chosen. When I read through the story of Deborah, a few questions came to mind. For example, in the beginning of verse 9 it says, “But because of the way you are going about this…” What way? And why is it because of this “way” that the honor which was due Barak had to be given away? 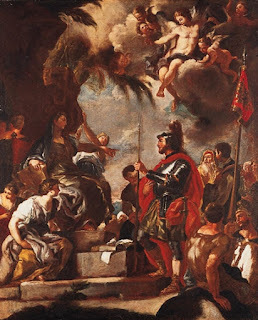 Is Barak’s honor being given away a result of his “hesitation” or “cowardice?” Further, who is the woman that into her hands Sisera would be delivered? Is it Deborah, because she agreed to go with Barak? Admittedly, it is never easy to translate a language as old as Hebrew into contemporary English. The gap between the languages, the cultures and the source texts is what makes translation difficult. However, what I found interesting is that for this verse, most of the prevalent versions of the Bible, along with the NASB and KJV, use words such “journey” or “road” in preference to the NIV’s more ambiguous use of words such as “way” (NIV84) or “course” (NIV2011). Even with the versions that do use the word “way,” they phrase it in a fashion to indicate a course of travel or a route, rather than a manner or mode of behavior. In this respect, I find the NET’s use of “expedition” to be particularly fitting in view of the context as Barak was called to war. Aside from NIV’s interpretation, it seems safe to assume that Deborah’s prophecy to Barak may have more to do with the nature of this expedition than with his manner or mode of behavior. Although it is suggested by some commentaries that in verse 8 Barak was showing reluctance to obey Deborah’s instruction, by the natural reading of it, I can see no such sign of reluctance on Barak’s part. I suppose if Barak was to reject Deborah’s call to war, he would have refused to go. And yet, instead of rejecting Deborah’s instruction altogether, Barak requested her company. It seems that Deborah’s presence was so crucial to Barak’s expedition that he cannot go without it. It is important to keep in mind that Deborah is both a prophetess and a judge. A prophet is to convey messages from God. For most of the other judges, their calls to war came directly from God. However, with Barak, his call to war came through Deborah. It seems that for whatever reason, God chose to communicate with Barak through Deborah. And this may very likely be the reason why that Barak requested Deborah’s company for the expedition, and why that Deborah readily agreed to go with him. The partnership between Deborah and Barak was much like that of Moses and Aaron. And indeed, in verse 14 we can see that Deborah was the one through whom God gave Barak the command to charge and bestowed encouragement. Therefore, far from being a sign of hesitation or cowardice, Barak’s request for Deborah’s company was of godly wisdom. Having said that, this seems to suggest that in Deborah’s time, Barak may have shared or succeeded Deborah’s role as the judge, this may explain why that in 1 Samuel 12:11 and Hebrews 11:32 Barak’s name is mentioned along with the other judges. This then raises another question – if Barak’s honor was to be given away as Deborah prophesied that it would, how then is his name still honored such as in the Song of Deborah, 1 Samuel 12:11 and Hebrews 11:32? This, of course, begs the question that if all these are about Barak’s personal honor at all. If it is not, whose honor then was Deborah talking about in Judges 4:9? This question brings us to yet another discrepancy in the English translations, that is, the explicit mention of “the Lord” in verse 9. 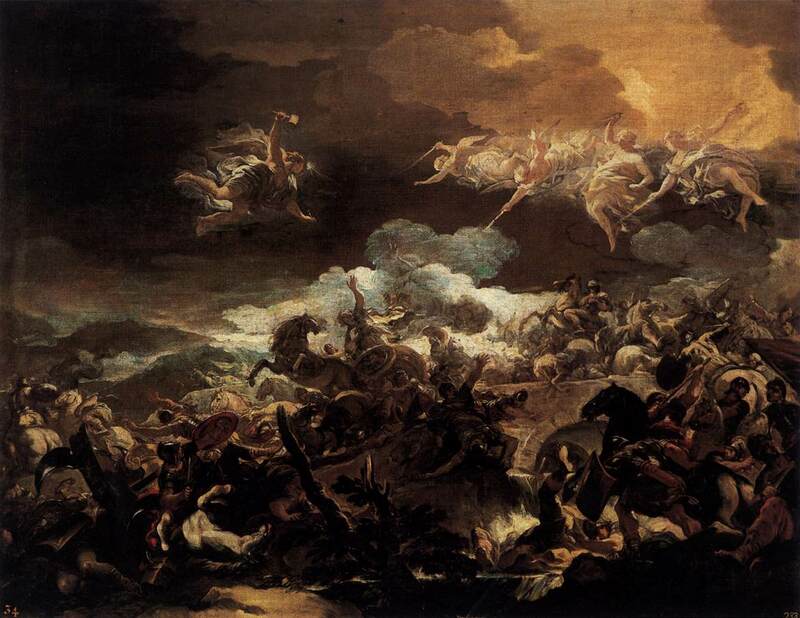 While most modern English translations of the Bible agree that “the Lord” is to be explicitly mentioned in this verse, a few other translations, such as the WYC, do not have “the Lord” in this verse – “And she said to him, Soothly I shall go with thee; but in this time the victory shall not be areckoned to thee; for Sisera shall be betaken into the hand of a woman…” Such discrepancy can be traced to even the Greek Septuagint and the Latin Vulgate. While the Greek Septuagint does have “for the Lord” in this verse, the Latin Vulgate does not. At any rate, even without the explicit mention of “the Lord,” judging from the greater context of Judges, we can be certain that it is no one but the Lord who delivered Sisera to his destruction. The theme of Judges is Israel’s fallacy that led to their unfaithfulness: When they were doing alright, they forgot about God’s sovereignty, and so they were given into the hands of their enemies; and when they were oppressed by their enemies, they cried out to God, and so God raised up judges to deliver them; and after the deliverance, they soon forgot about God’s sovereignty again…and so this cycle of unfaithfulness went on and on. As both the judge and a prophetess, Deborah was thus to remind the Israelites of their God through deliverance. Surely there will be no honor for Barak from this expedition. Though he was the army leader, it was God who fought for Israel. In other words, Barak did not lose honor. It was never his honor to have in the first place. Without having God going ahead of them, the courage and the fighting force of Barak and the company of Deborah would amount to nothing. And this is the core message of the book of Judges. It is for this reason, in Judges 7:2 God said to Gideon, “The people who are with you are too many for Me to give Midian into their hands, for Israel would become boastful, saying, ‘My own power has delivered me.’” What could exhibit God’s sovereignty more clearly than to give the fierce Sisera into the hands of Jael, a housewife whose clan was at peace with Sisera’s? What an irony it is that a man, who founded his confidence in nine hundred iron chariots, was to be killed by a peg in the head? I think God made Himself clear enough. Yes, I believe the woman that Deborah referred to in verse 9 was Jael. As it becomes evident later in the chapter that it was indeed by the hands of Jael that Sisera was slaughtered. Jael’s name was thus blessed in the Song of Deborah along with Deborah and Barak. However, what matters the most in the story of Deborah, as it is in the whole book of Judges, is not the honor of these faithful women and man, but the honor and glory of God. The purpose of the Song of Deborah, therefore, is not to hail Deborah, Barak, or Jael, but to praise the Lord. Just as it is in 1 Samuel 12:11 and Hebrews 11:32, when Barak along with all the others are mentioned, it is not about their personal honor, but about God’s faithfulness. All in all, the story of Deborah is not about how Deborah got to take all the credit that was not hers just because God picked a weak indecisive man. 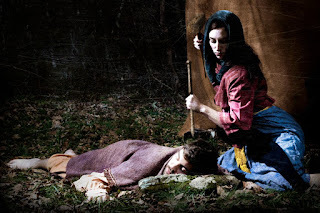 In the story of Deborah, we got a strong and courageous female leader who was chosen and exalted by God; a male leader who had the wisdom to recognize and respect God’s presence and authority exercised through Deborah beyond gender; and a brave woman who was least expected, whether for her gender, clan, or social status etc., to have the notorious Sisera killed. Nevertheless, Judges is not a book about gender. Judges is a book about the faithfulness of God despite Israel’s unfaithfulness. We may never know the reason why God raised up a female judge in a patriarchal culture. Anyhow, God may raise anyone up for His good pleasure, male or female. When we allow ourselves to be sidetracked by questions such as Deborah’s gender or, really, any Christian leader’s gender, we are making the same mistake as the Israelites – we are failing to see that it is God who is all in all. Recently, there have been rumors attacking the trustworthiness of certain modern English versions of the Bible, such as the NIV, ESV and NASB, going around among Christians. In these rumors, the modern English versions of the Bible are often compared to the KJV Bible, saying that these modern English versions have Bible verses “intentionally omitted,” and the omissions are the evidence of the satanic control of the modern English Bible publishers. Thus they are not to be trusted. It’s with this “satanic” language that I’m alerted and prompted to address to these rumors. I believe that a brief survey of how the modern English versions of the Bible came to be would be helpful for countering misunderstandings and lies, and for defending our faith. As you may know that the original writings of the Bible were in Hebrew for the Old Testament, and Greek and Aramaic for the New Testament. It was through handwritten copies of these original writings that the scriptures were circulated among early Christians. In the Middle Ages, patristic biblical scholar Jerome was commissioned to produce the Latin version of the Bible, known as Vulgate, in the late 4th and early 5th century. Up until the 15th century, through Renaissance came the humanist movement. Humanists demanded the return to the original sources of theology. They believed that the Old Testament was to be studied in Hebrew, and the New Testament was to be studied in Greek. Therefore, based on the Byzantine text, Dutch humanist priest Erasmus produced Novum Instrumentum omne in 1516, which is a Greek version of the New Testament, also known as the Textus Receptus. Byzantine text is consisted of a large number of Greek New Testament manuscripts written in Byzantine text-type, but they are by no mean the oldest manuscripts. As mentioned above, a biblical manuscript is a handwritten copy of a portion of the original writings of the Bible. But it’s not just “a copy” of the original text that we are talking about. We are talking about a copy of a copy of a copy… – generations of copies of the original writings. Therefore, presumably the later/younger the copy, the more scribal errors there may be – they are more generations down from the original writings. To make the Bible more accessible to all God’s people, during the Protestant Reformation, based on Erasmus’ Textus Receptus, Luther published his German version of the New Testament in 1522. Of the same mind, at the dawn of the English Reformation, based also on the Textus Receptus, English scholar Tyndale published his English version of the New Testament in 1525. In the early 1600, King James I demanded a new English version of the Bible, which may reflect the use of the contemporary English in his time, and thus the 1st edition of the King James Version Bible (KJV) was published by the Church of England in 1611. The KJV translation of the New Testament was based largely on Erasmus’ Textus Receptus, Luther’s German Bible, Tyndale’s English Bible, and some on the Latin Vulgate. KJV has since become the most popular version of the English Bible through centuries. Nevertheless, since the time of the KJV, new discoveries of ancient manuscripts are continued to be made. For example, in 1844, Codex Sinaiticus – one of the oldest and most complete Greek Bible dating from AD 325 was discovered. 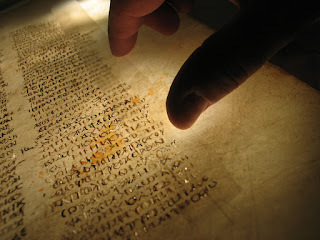 The Alexandrian text is consisted of older manuscripts like Codex Sinaiticus, Codex Vaticanus and fragments of manuscripts that are written in Alexandrian text-type. While most of the Byzantine manuscripts originate from the 9th and 5th century, the Alexandrian manuscripts are largely dated from way before the 5th century. In other words, the Alexandrian manuscripts are much older than the Byzantine manuscripts, and thus presumably closer in generation to the original writings of the Bible. Based on the Alexandrian text, German biblical scholar Nestle published his 1st edition of the Greek version of the New Testament Novum Testamentum Graece in 1898. In 1975, Novum Testamentum Graece is revised by one of its principal editors, Aland, based on an important new discovery of the earliest known New Testament manuscript fragments. Aland submitted his work to the editorial committee of the United Bible Societies (UBS), which is a global network of Bible Societies, and it became the basic text of UBS’ 3rd edition of Greek New Testament, known as UBS3. Later, Aland’s work was also published in the 26th edition of Novum Testamentum Graece, known as NA26. The UBS and NA texts are the primary sources of most of the modern English versions of the Bible. In 1950, the English used in the KJV was no longer “contemporary” to its American readers. The old Victorian English had, instead, become an obstacle to the spread of the gospel. This time, however, the demand for a new English translation of the Bible was not initiated by any priest, scholar or royalty – this time it was initiated by a General Electric engineer, Howard Long. Long’s demand was brought to his pastor, and from his pastor to his congregation, and then to his denomination, and eventually a translation committee was formed with members from the Christian Reformed Church and the National Association of Evangelicals. Based largely on the UBS and NA versions of the Greek New Testament, with the collaboration of over 100 scholars, the 1st edition of the New International Version (NIV) was published in 1978. Since then, the NIV has become one of the most popular English versions of the Bible. 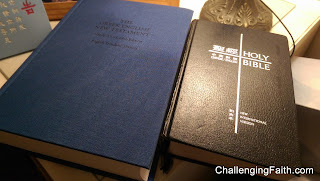 Besides the NIV, the 1st edition of the New American Standard Bible (NASB) and the English Standard Version (ESV) were also published in the 1970s. The late distinguished professor of Talbot Dr. Robert Saucy, whom I respected highly, was one of the three scholars who worked on the 1st edition of the NASB as well as its 1995 update. The Dean of Talbot Dr. Clinton Arnold is one of the translation review scholars of the ESV. Both the NASB and ESV also based their New Testament texts primarily on the UBS and NA texts. At this point, it is important to note that the Christian doctrine of biblical inerrancy refers ONLY to the original writings of the Bible, not to the manuscripts, not to the vernacular translations, and not to our interpretations of the Bible. Since we do not have the original writings, with all the manuscripts and fragments discovered, the work of the biblical scholars is to put together text sources that may be as close and true to their original writings as possible. They do so with the help of archaeology and textual criticism. With each new discovery of the manuscript or fragment, biblical scholars carefully evaluate the trustworthiness and accuracy of them based on factors such as their origin, historicity and consistency etc. 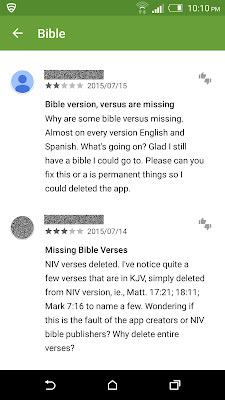 As you can see by now, although the KJV is the older English version of the Bible, its New Testament text sources are actually later/younger than the NIV, NASB and ESV. Moreover, in those modern English versions of the Bible, the disputable verses and passages as well as the variations in manuscripts are often honestly and clearly indicated in the footnotes. Nevertheless, to be as close and true to the original writings as possible also means that there may be times when some disputable Bible verses, which are in the KJV, but not in the most reliable manuscripts, must be removed from the modern translations. I applaud the translation scholars of these modern English versions of the Bible for their courage to do the right thing, even though they knew that it may upset some readers. At present, we have more than 6000 manuscripts and fragments of the Greek New Testament to witness to the reliability of our New Testament text sources. However, perfect vernacular translation simply does NOT exist. 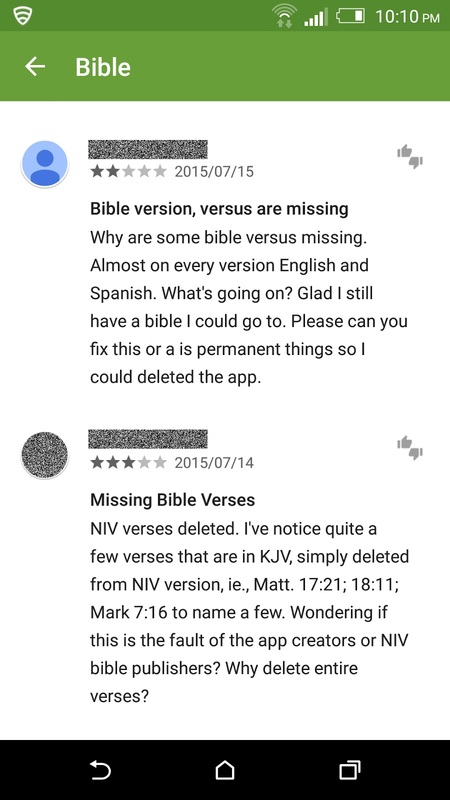 The difference between these 4 versions of the Bible is mostly their translation philosophy. If you put them on a spectrum between formal equivalence and dynamic equivalence, the NASB would be the most formal one, and followed by the KJV, and then the ESV; whereas the NIV would be well balanced between formal and dynamic. For a seeker or a new Christian I would recommend the NIV, for small group meetings I may recommend ESV, and for serious Bible study I would recommend them all with reference to the NASB. What is dangerous to our faith is not the “wrong” version of the Bible. If you want to see evidence of Satan, it is in divisiveness you’d find traces of him. Christians, I urge you to refrain from calling our brothers and sisters in Christ as demons or accomplices of Satan. We are sinful human beings living in a fallen world, and our ability to grasp the Truth is corrupted by original sin. None of us understands God perfectly, and that’s exactly why we need each other. It is nothing but spiritual pride for any one person or organization within the Christian community to claim the knowledge of the whole Truth. Let us humble ourselves before God, and before each other. © 2013 ChallengingFaith.com. Simple theme. Powered by Blogger.